Episode 11: Dr. Smith is in the Pod! Today’s podcast with Tony, Renee and Dr Adrian Smith as our guest whilst Craig is on holidays in America dodging hurricanes and earthquakes. 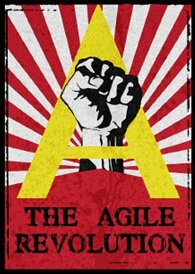 Aaron Erickson blogged: Everybody’s doing agile why can’t we? 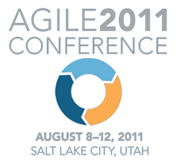 The last day of the Agile 2011 Salt Lake City conference where Craig talks about Kevlin Henney’s presentation of Functionality being an asset and code is a liability and Linda Rising’s presentation of The Agile mindset. Craig spent the day milling around a number of presentations today and talks about how technologies link together, delighting customers, visualisations, ATTD for start-ups, Jeff Patton’s User Story Mapping and flirting with your customer. Craig Smith has been partying hard and gives us Day 2 of his quick daily update direct from the Agile 2011 Conference at Salt Lake City. Continuing his daily podcasting triumph Craig Smith gives us his quick daily update direct from the Agile 2011 Conference at Salt Lake City. 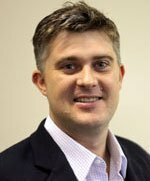 Craig Smith is fighting the hard war on Agile Software Development Frameworks and despite jet lag worked hard to bring us his first of a series of daily takes from the 2011 Agile Conference at Salt Lake City.